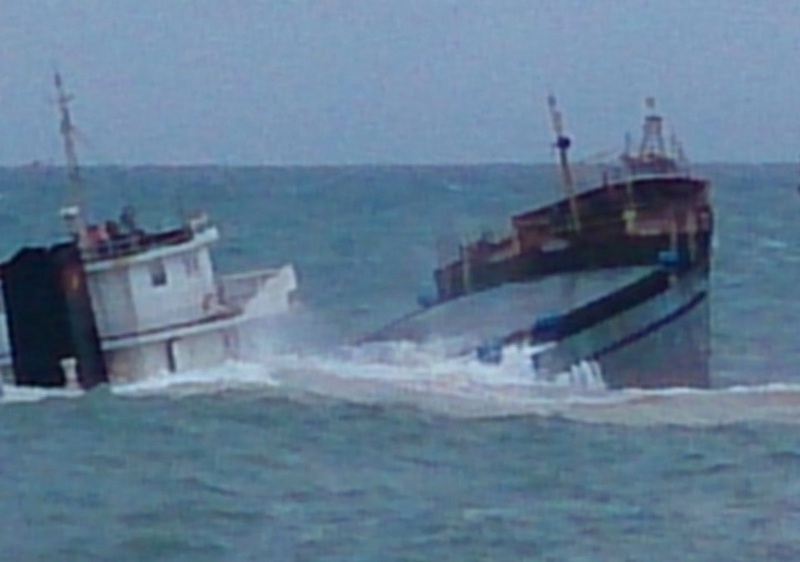 The Vietnamese general cargo ship Thanh Dat 01 sank after collision with Chinese cargo vessel Guo Shun 21 in South China Sea on 120 nautical miles northeast off Vung Tau, Vietnam. Following the accident, the cargo ship Thanh Dat 01 with 11 people on board started getting water ingress and sank several minutes later. Nine of the crew were successfully requested by Chinese cargo vessel, while another two were missing and probably drowned. The missing seamen were identified as Master and Second Engineer of the sank Vietnamese general cargo ship Thanh Dat 01, as local authorities organized large scale search and rescue operation, engaging nearby freighters and navy helicopters. The Chinese cargo vessel Guo Shun 21 suffered slight damages in the bow area but remained afloat. 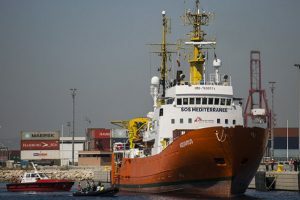 All other people were rescued in good health and without injuries. They were transfered to Vung Tau, where were hospitalized and later released for home treatment. The local authorities started investigation for the root cause of the accident. The vessels were proceeding on crossing routes, but collided after violation of ColReg rules and lack of communication between the duty officers. According to preliminary information, the Vietnamese general cargo ship Thanh Dat 01 maneuvered too late and was hit by the Chinese ship. The Vietnamese general cargo ship Thanh Dat 01 was en route from Vung Tau to Nghi Son in Vietnam, loaded with 2718 tons of steel. The vessel was operating as coaster under the flag of Vietnam and has deadweight of about 3,000 DWT. The Chinese cargo vessel Guo Shun 21 (IMO: 8674883) was en route from Yokohama, Japan to Phu My – Vung Tau, Vietnam. The ship has overall length of 109.00 m, moulded beam of 16.00 m and maximum draft of 6.20 m. The deadweight of the vessel is 6,750 DWT and the gross tonnage is 4,427 GRT.